Health issues have made reducing sodium intake a hot topic around the world, and scientific understanding is changing rapidly. World Health Organisation guideline is 2000mg. The amount of sodium consumed and the sources responsible for it vary widely around the planet. However, in most countries, populations and cultures, sodium intakes are much higher than recommendations7. For more information about Nestlé’s nutrition, health and wellness commitment, please contact us. IOM (Institute of Medicine). 2010. Strategies to reduce sodium intake in the United States, Washington D.C.
Salt? Sodium? What’s the Difference? Are salt and sodium the same thing? Not quite. 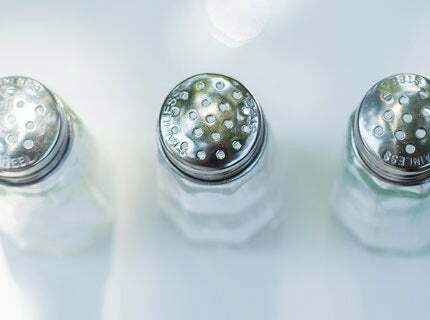 What you find in your salt shaker is sodium chloride, a chemical compound made up of 40% sodium and 60% chloride.